So I'm currently playing The Legend of Zelda: Ocarina of Time. I have never beaten this game or even gotten very far. See, I didn't own an N64 growing up so my previous playthrough attempts have been on friend's consoles, but something has always come up to stop me from ever finishing the damn game. Right now, I'm exploring the Water Temple, my farthest point yet, while simultaneously contemplating suicide. What does that story have to do with anything, you ask? Well, playing Ocarina got me thinking about all the other landmark titles that have slipped through the cracks over the years. You see, In an effort to stay as current as possible, I try to play as many recent (or somewhat recent) games as I can. I'm usually able to knock a few old games off my "To Play" list (I completed both Half-Life games for the first time earlier this year). The constant stream of new stuff, though, and my hectic schedule of two jobs and college make it difficult to find time to for old classics. For your mocking pleasure, I've assembled a list of all the big games I've yet to play. Who knows? Maybe it'll make you feel better about yourself. You're welcome. 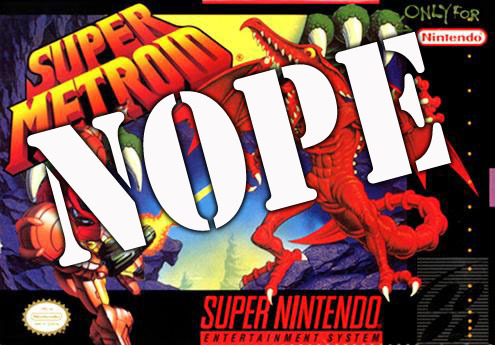 Super Metroid likely won't occupy this list for too much longer. 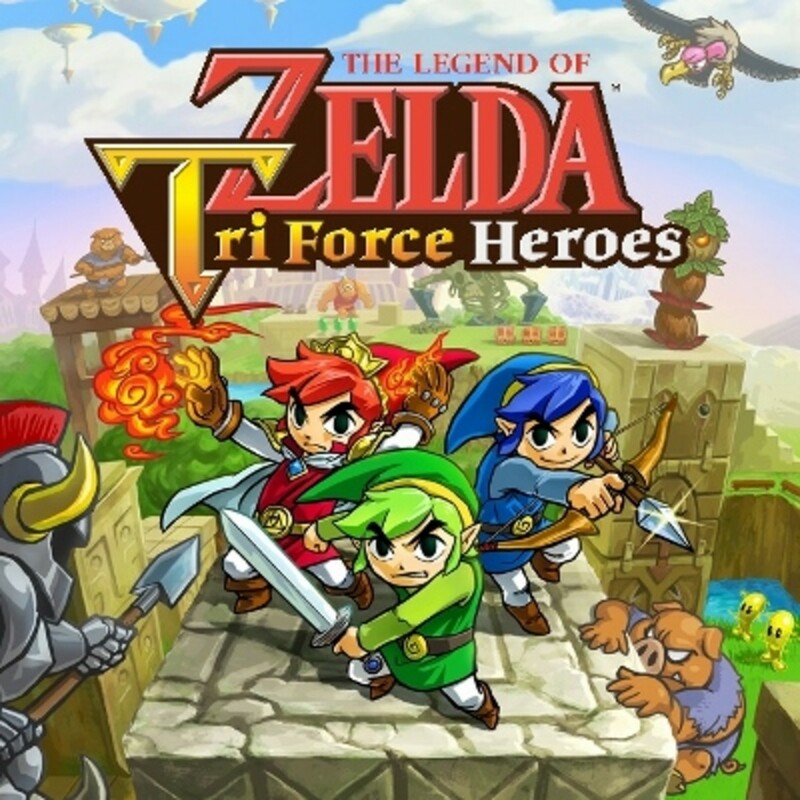 Once I finish Ocarina, my crosshairs will be totally locked on this classic. Often considered the best of the Metroid saga, this slipped by me during the SNES' heyday. Metroid Fusion is my favorite of the series, so I'm curious to see how its 2D predecessor compares. 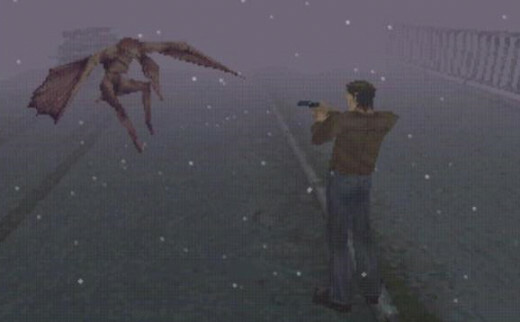 Resident Evil was my survivor horror game of choice back in the 90's, but Silent Hill's glowing reception didn't fall on deaf ears. An empty wallet, maybe, but definitely not deaf ears. With the original available on PSN, and the recent HD collection of the second and third entires, I'd like to finally give this disturbing series a shot. I just hope the writing and atmosphere are strong enough to still produce some scares; the dated graphics of the original certainly won't. 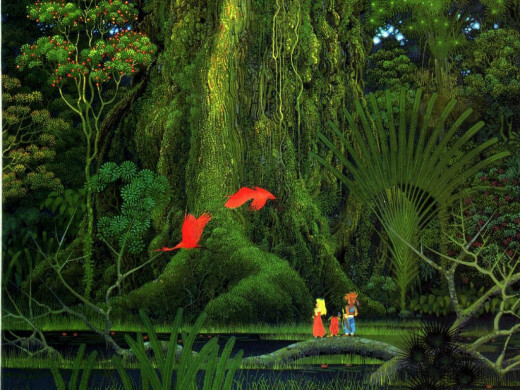 As a lover of JRPG's, Secret of Mana is a title that always comes up whenever I'm discussing the genre with fellow enthusiasts. 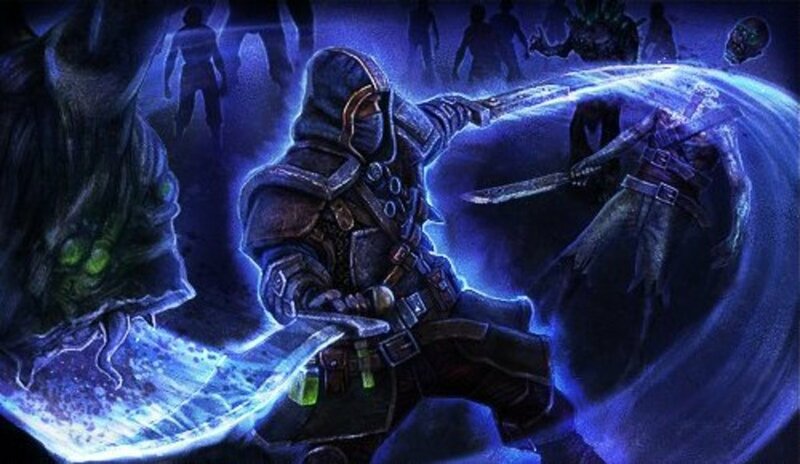 I've been sent gameplay videos highlighting the combat, as well as countless videos of the game's incredible soundtrack. I wrapped up Radiant Historia not long ago, but I'm still itching for another dose of 16-bit role-playing goodness. 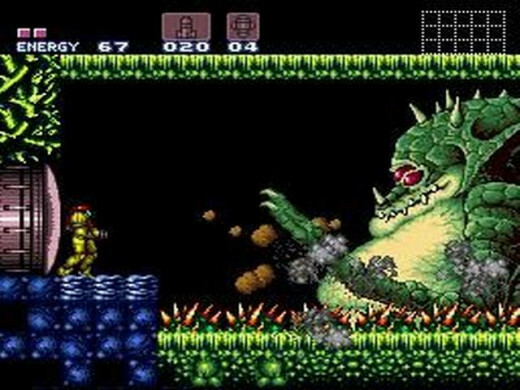 Super Metroid better watch out. 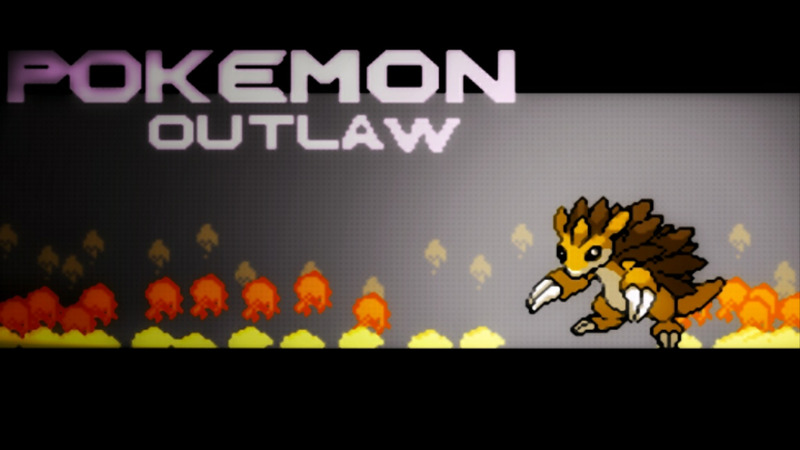 Or maybe THIS will be what I play after Ocarina's bit the dust. I can't even decide now. In the entire Zelda series, I've noticed that this entry produces the most varied reactions from fans (second only to Zelda II). The people who love it REALLY love it and those who don't, do so with a scathing fury. The different masks, the mysterious Skull Kid, and that creepy moon of doom are very intriguing concepts. As Zelda games go, Majora is in a league of it's own as far as weirdness goes and I look forward to playing it. 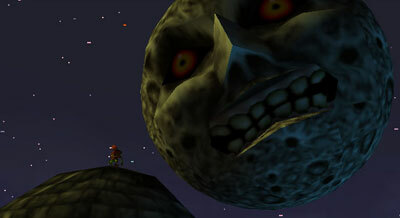 I just hope that moon doesn't give me nightmares like Mario 3's angry sun used to. 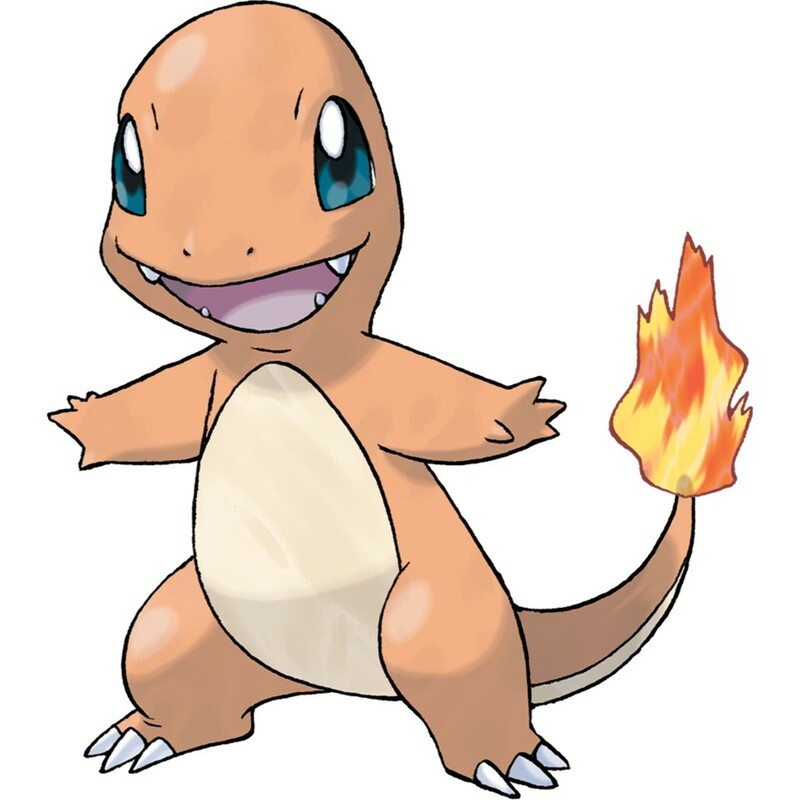 Just look at that thing; it's creepier than Slender. I should probably clarify. While I've played Halo countless times, but it was only in multiplayer against friends. The campaign has gone untouched, causing me realize that I know very little about what the actual story is about. 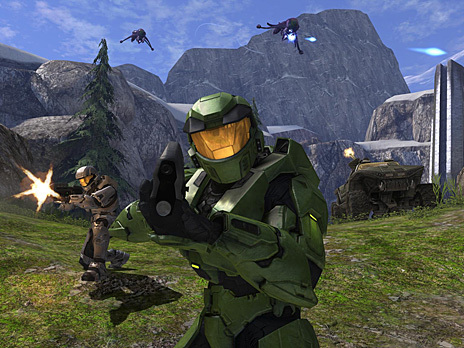 Based on the ramblings of Halo-loving buddies, I've gathered that the story involves Master Chief shooting things called the Covenant in the face and that he hangs out with some holographic, Tron-looking chick named Cortana. Also, that the campaign most overrated thing ever and I should stick to multiplayer. Guess I'll have to find out for myself. 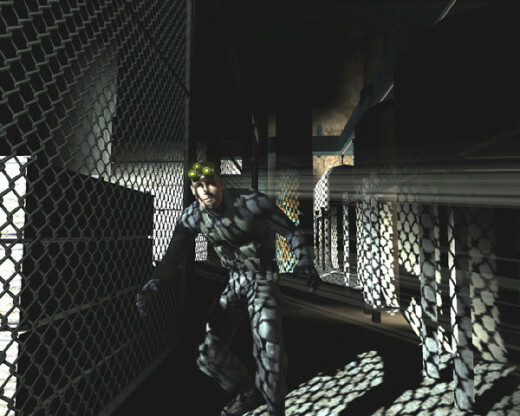 I'm a huge Metal Gear fan, so when I saw Splinter Cell's stealthy action, I figured it'd be right up my alley. 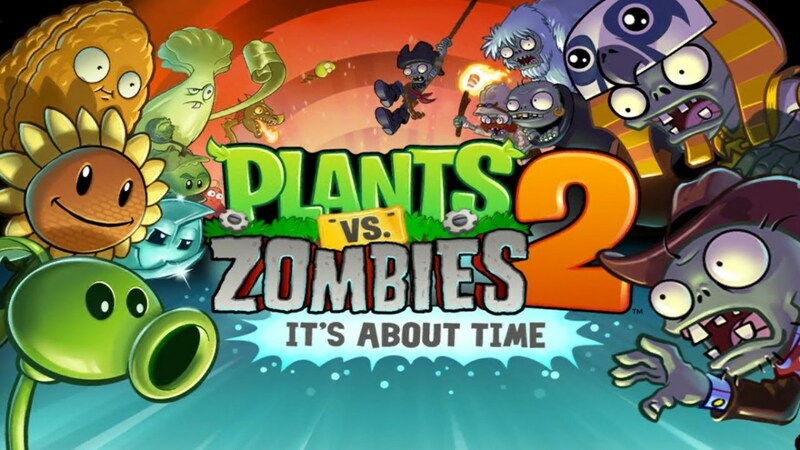 I once tried the first game at a friend's house and, in short, I failed at it miserably. I couldn't even get past the training missions. A lot of that had to do with me treating it like it was Metal Gear; which it definitley is not. Eventually I gave up and just screwed around, not caring if I was seen or not. The Splinter Cell games have received nothing but praise, so I'd really like to give Sam a more serious chance to wow me. Shigeru Miyamoto's masterworks are the reasons I'm the gamer I am today, but I've yet to play his most recent brainchild. Scratch that, as I did try Pikmin for about 30 minutes at a Gamestop around the time it released. I remember being completely lost as to what I was supposed to be doing and promptly abandoned it for years, despite the acclaim it got later. Olimar annoys me in Brawl, so that didn't help it's cause either. To rectify my ignorance towards this series, I picked up the original Gamecube Pikmin a few months ago, but still haven't gotten around to starting it. Thus, glimpses at my game rack are met with a burning glare at of neglect from a particular area of the Gamecube section. 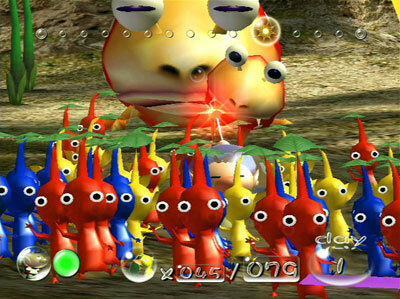 Pikmin 3 looks pretty sweet, so maybe it's release will push me to finally start the game that started it all. 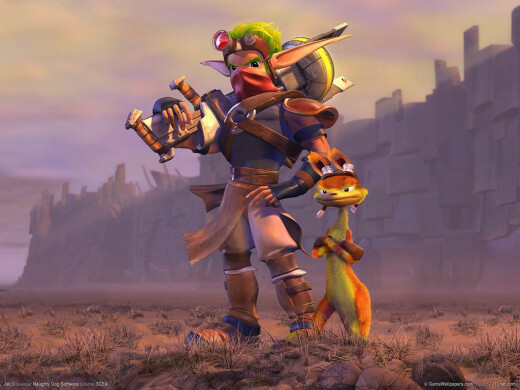 Last generation, it came down to two choices: Jak & Daxter or Ratchet & Clank. I chose Insomniac's platformer and haven't looked back since. I always meant to go back to Jak (heh, rhyme), but I was simply too caught up in other games to do so (excluding Daxter, the PSP entry, which I borrowed from a friend). I'm somewhat ashamed, because I consider myself a big fan of Naughty Dog's work. I adored the Crash and Uncharted series, but Jak & Daxter is one huge hole in their catalog that needs to be filled. I purchased the HD collection not long ago, so once the hectic fall schedule slows down, I hope to crack it open and finally give the trilogy a go. While the rest of the world was raving about video game's favorite sad sack, I was busy enjoying Rockstar's other masterpiece, Grand Theft Auto. 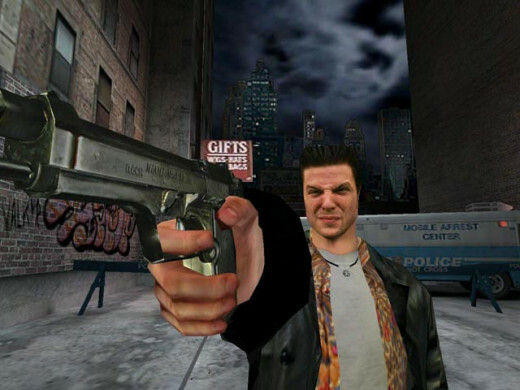 Max Payne's noir-style storytelling and cool Bullet Time mechanic always kept the games on my radar, but I just never made time for them. Max Payne 3 has reignited my drive to start them. It looks incredible, but despite several assurances that playing the first two isn't required to start MP 3, I just can't bring myself to play the series out of order. I'm OCD like that. Mario is synonymous with platforming excellence, but the portly plumber has a solid record in the RPG space as well. Paper Mario and Mario & Luigi are two fantastic series, so Mario's role-playing debut is a must-play for me. Plus, look at how adorable those toads are! Due to the lack of a home computer until my high school years, not owning a computer of my own until I started college, and said computer not being up to snuff to really handle any high-end gaming, the PC gaming scene has eluded me for years. 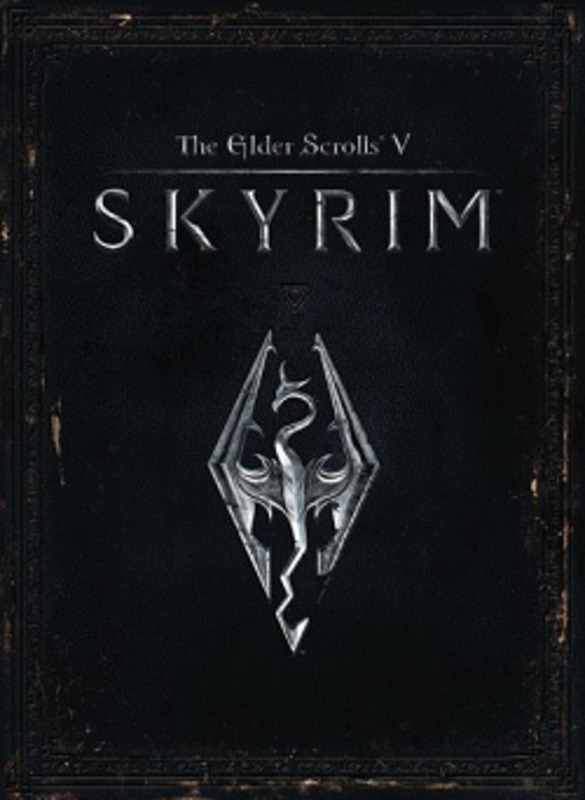 You know what the only computer game I've EVER completed is? 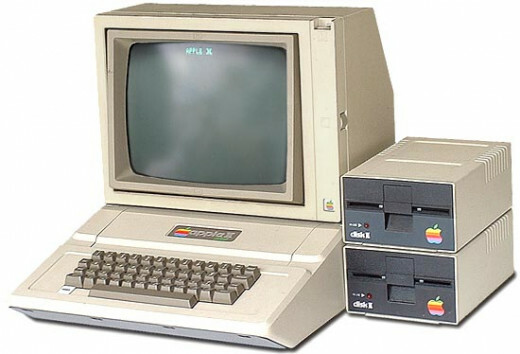 The Oregon Trail back in 4th grade, making it the greatest PC title ever by default. Once I can afford a serious rig, I have a long list of games to catch up on. Or I'll just take that long journey to Oregon again. Smallpox and dysentery are fun. What about you? Have any big titles passed you by that you'd like to catch up on? Thanks. I've played Paper Mario and liked it a lot. 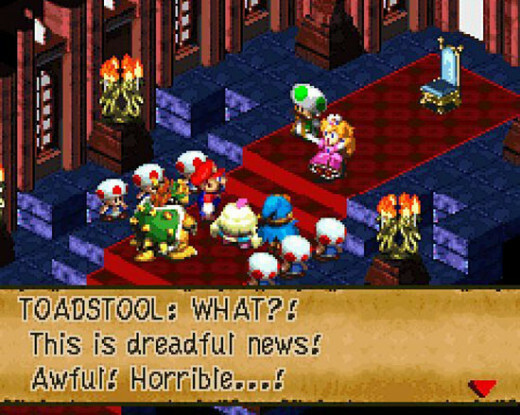 I've heard nothing but good things about Super Mario RPG, so I'm anxious to try it for myself. If you plan on playing the Super Mario RPG, try out Paper Mario (a MUCH better franchise) or Mario and Luigi: Bowser's Inside Story (or Partners in Time). Not a terrible game, but from what I remember it was below average.